Belly fat is the accumulation of abdominal fat that leads to an increased waist size. Belly fat is also known as central adiposity or abdominal obesity. Belly fat is a very often problem for most of us. Many factors can cause you to get that bigger midsection around your waist. We usually put on more belly fat when we become middle-aged, after pregnancy or when we eat or drink too much. They also call it a beer belly for nothing. But no matter what the cause, a bulging belly is a problem we all want to cope with. It is closely linked to illnesses like diabetes, heart disease, and insulin resistance. And it can affect anyone, irrespective of age, genetics, etc. So, you want to address the matter immediately by eating foods that help mobilize this stubborn fat. In this article, we have listed 25 belly fat burning foods to include in your diet and live a healthy and happy life. But before that, let uslook through the reason belly region is prone to accumulating fat. Hormones play really an important role in determining fat distribution in the body. Hormonal imbalance can cause increased hunger, can also slow down metabolism, and increased stress levels, leading to belly fat accumulation. It is also believed that hormones translate our emotions on a physical level. So, if we take into consideration that proved medical statement we can make an important conclusion. There is a direct link between our emotions and hormones. Practicing any methods of controlling our emotions will prevent any negative affects on our body. If obesity is programmed in your genes, you may be more prone to accumulating fat in your belly region. Stress could also increase your risk of accumulating belly fat by producing abnormal level of cortisol or increasing your food consumption. Sleep deprivation increases the production of stress hormones in the body, which can lead to accumulating overall weight. Sugary foods and fizzy drinks are very harmful. They contain additives, preservatives, and artificial colors and flavors, which are major factors that lead to belly fat. Alcohol is sugar for our body. It broken down into sugar and the excess sugar gets converted to fat. Excess sugar from alcohol can also lead to inflammation. Trans fats are typical for processed and fried foods. They usually accumulate fat in the belly region, slow down fat metabolism, and increase the number of harmful free oxygen radicals in the body. Being physically inactive could also lead to the accumulation of belly fat. A sedentary lifestyle is the primary reason for the increase in the incidence of obesity worldwide. When you work in a n office staying all day in front of the desk, watching TV for a longer time pushing people more and more toward obesity and obesity-related diseases. Being on a low-protein diet can also be unhealthy. Proteins are everything – from your hair to the muscles and hormones – is protein. Lack of protein in your diet can cause high stress and inflammation, increased toxicity, and slow metabolism. 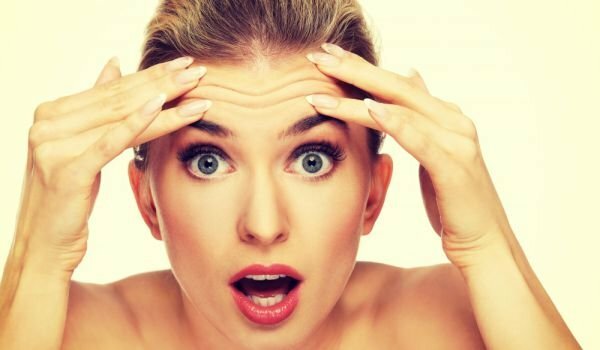 Women who are going through menopause experience hormonal changes. High levels of cortisol (or the stress hormone) can be responsible for women gaining belly fat during this period. Good gut bacteria aid digestion and prevent belly fat accumulation. Consuming foods that do not help the growth of these bacteria, like processed and fried foods can lead to a bulging belly. Packaged, bottled, or canned fruit juices contain artificial flavors, colors, preservatives, and sugar. The high amount of sugar can be harmful for your overall health and should be avoided. Low-fiber diets can lead to obesity, especially in the belly region. Low-fiber foods are rich of white rice, flour, and peeled fruits. Dietary fiber prevents the accumulation of belly fat. So, these are some of the major issues that tends to accumulate fat in your belly region. Now, let us see which foods will help you decrease the abnormal weight and get a flat belly. 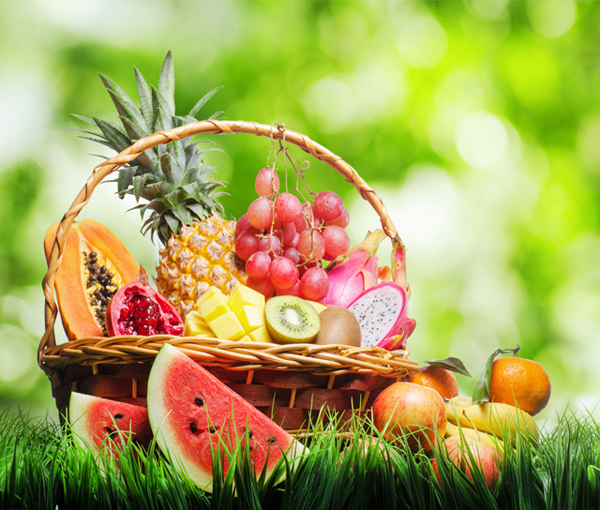 Fruits contain vitamins and minerals. That is why they are an essential part of your daily diet to burn belly fat. But you should not overdo it with fruits. They do not only contain lots of vitamins and minerals, they still contains sugar. Citrus fruits like orange, lemon, kiwi, tangerine, and fresh limes are excellent fat burners that can speed your metabolism. Pulses (or dal ) are rich in protein and low in calories and fat. The lean protein aids build lean muscle mass, boosts metabolism, and improves overall body functions. It is healthier just to boil them not to fry or spice. 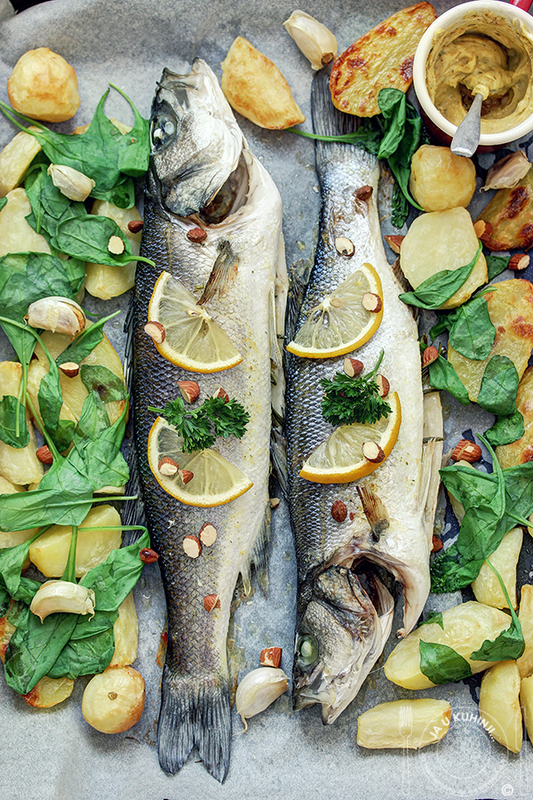 Fish is rich in protein and omega-3 fatty acids. Proteins aid build muscle, and omega-3 fatty acids decrease inflammation in the body and speed up metabolic rate. And as we know the lower the inflammation, the lower the chances of gaining fat that is triggered by stress. 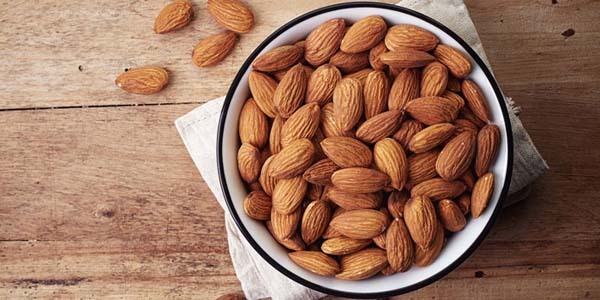 Due to the healthy fat and protein content almonds keep your stomach full for a long time. They are the greatest fat burner fat for vegetarians. They also contain omega-3s that boosts energy and metabolism. 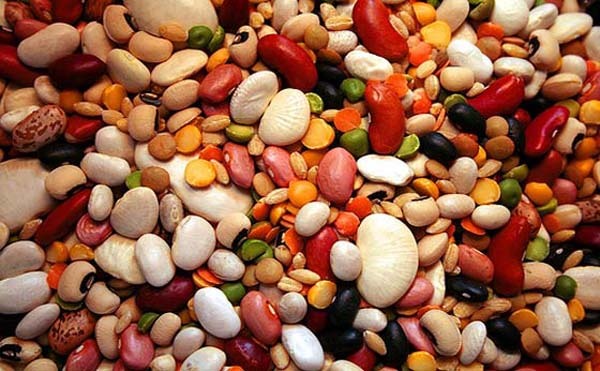 Beans and legumes are rich in protein, fiber, vitamins, and minerals. Regular consummation can help suppress hunger pangs. This is how they prevent overeating. The other advantage is that they are a great source of protein for vegans and vegetarians. 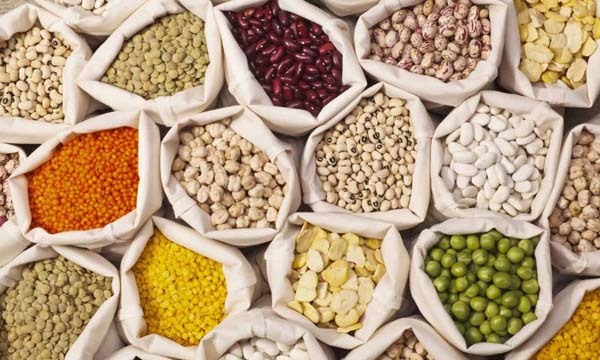 A good advice is to mix three different legumes to provide your body with different micronutrients. 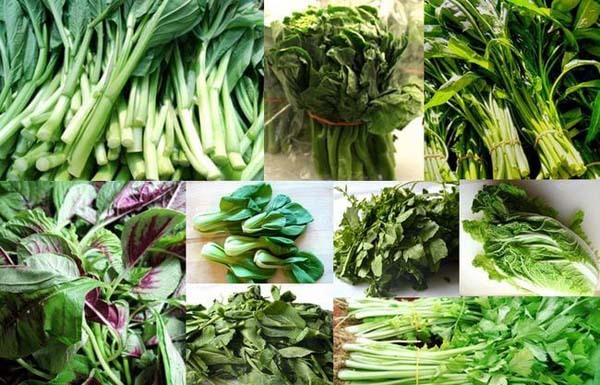 Vegetables like spinach, kale, collard greens, radish greens, carrot, broccoli, and turnip contain a lot of vitamins, minerals, water, and dietary fiber. These fiber-filled veggies can decrease belly fat by preventing you from overeating. They boost your metabolism, help good digestion, and cleans the colon. 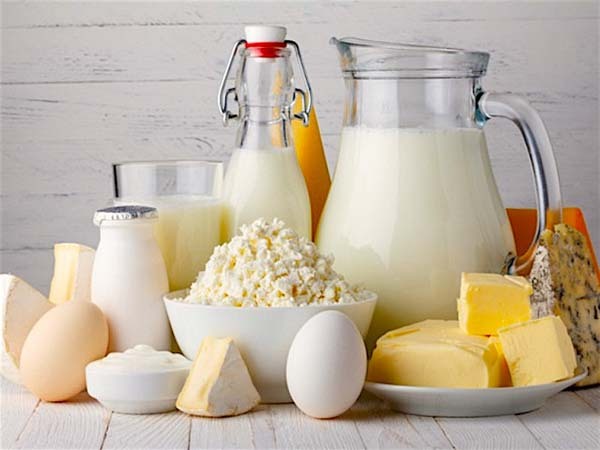 Full-fat dairy products are good for your diet as these are loaded with nutrients and will keep you satiated for a long duration, thereby leading to weight loss. Slim or skimmed milk does not keep your hunger pangs at bay as well as full-fat dairy products. 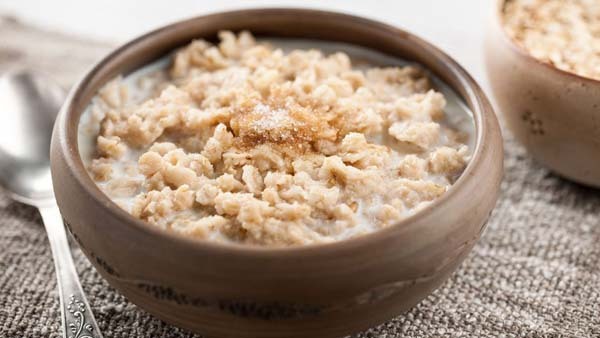 Oats contain a lot of fiber and help digestion. 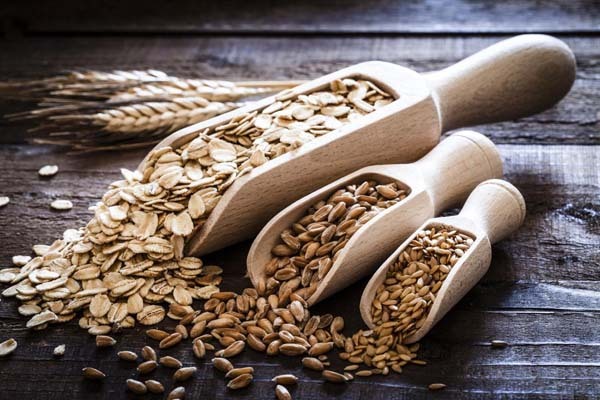 They are rich in insoluble fiber and carbohydrates that curb your hunger, boost your energy for your workout, and decreases fat content in your body. If you include oatmeal in your morning diet with some nut butter or nuts for added protein you will fell full of energy all day long. A good advice is when you buy oatmeal, make sure that you choose one that is flavorless as the flavored oats contain sugar and chemicals. 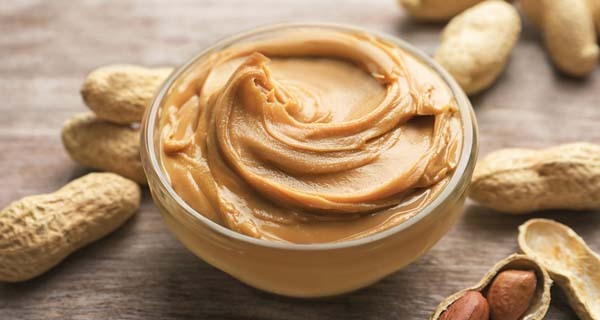 Peanut butter is the perfect sweetener for your breakfast or smoothies. The nut butter contains a lot of protein and healthy fats that reduce the chances of gaining fat. But be aware of the amount you consume – no more than one tablespoon per portion. 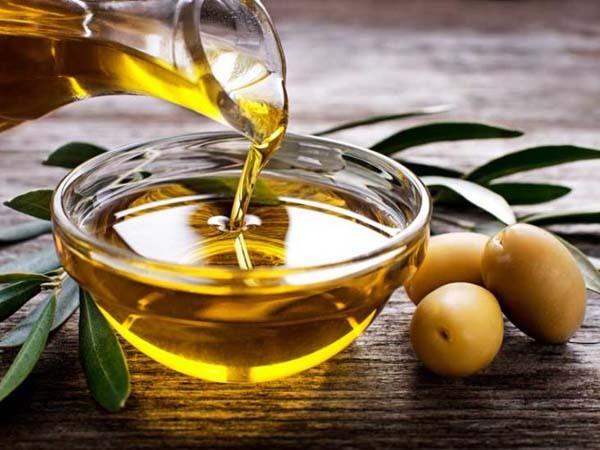 Extra virgin olive oil is a good solution for losing weight and your health, in general, because it decreases bad or LDL cholesterol and increases the levels of good or HDL cholesterol. It is a heart health-friendly oil that you can use a perfect option for cooking or seasoning your food. Whole grains, such as millet, quinoa, and brown rice, are loaded with protein, vitamins, minerals, and dietary fiber. Including them your daily diet will keep your hunger pangs at bay, aid digestion, and help cleanse the colon. This, in turn, will help you cut weight. Protein powders are a great option if you cannot load up on whole foods that are great optional sources of protein. 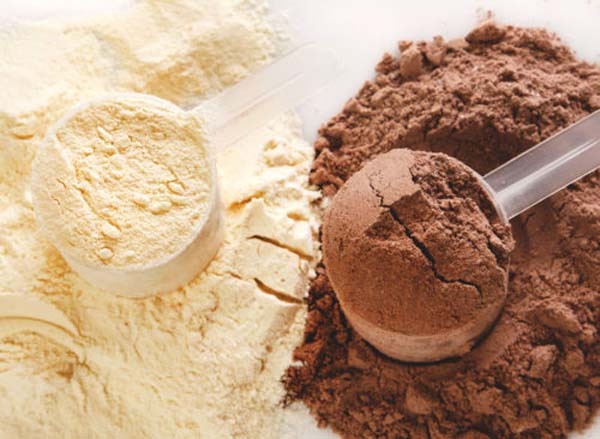 You can use different types of protein – whey protein, a vegan protein powder or homemade protein powders to help improve muscle mass and speeds up your metabolism. Chia seeds can be very useful for weight loss. It is now even trendy to include chia seeds in smoothies, salads, and breakfast bowls. They are rich in protein and healthy fats. 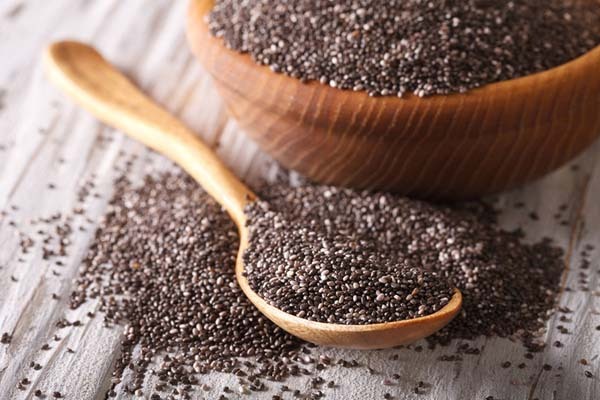 Two tablespoons of chia seeds contain 10 grams of dietary fiber. So, consuming chia seeds help you prevent from overeating, improve digestion and metabolism. As a whole Chia supports your gut health leading to steady weight loss. According to Kayleen St.John, R.D., Executive Director of Nutrition and Strategic Development of Euphebe, low levels of vitamin D are the basic reason for abdominal obesity. 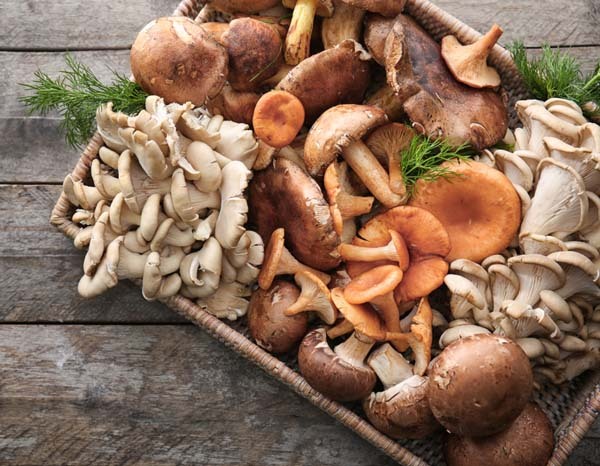 Mushrooms are rich in vitamin D.
They contain a lot of calories and water. You can easily prepare mushroom soup or add them to salads and sandwiches to make a delicious lunch or dinner without worrying about calories. Raspberries are loaded with dietary fiber and polyphenols like anthocyanins. 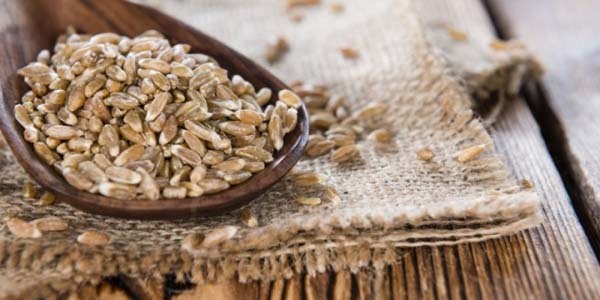 The dietary fiber improves bowel movement. Raspberries keep you satiated for a long duration. They are rich in antioxidants that help scavenge the harmful free oxygen radicals, thereby reducing inflammation and inflammation-induced obesity. 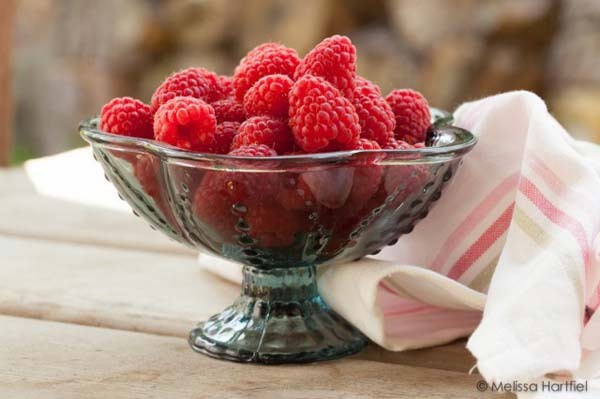 A good advice is to consume raspberries in breakfast bowls or in smoothies. 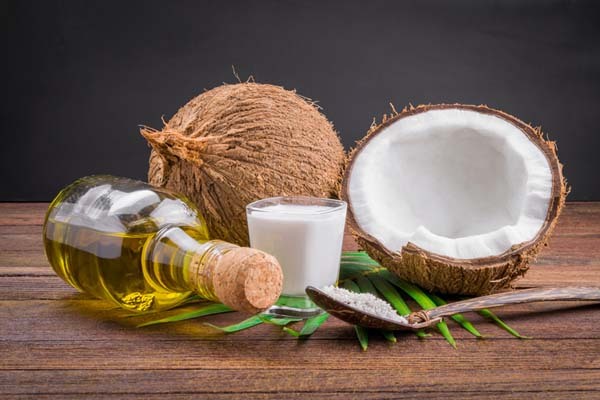 Coconut oil has a great impact on blood lipid levels and may even help reduce tummy fat. Rich in healthy fats, coconut oil reduces bad blood cholesterol levels, improves digestion, and boosts overall immunity while helping keep you full. According to Julieanna Hever, author of The Vegiterranean Diet, having soup before meals helps lower calories you consume. This prevents fat accumulation in the belly region. 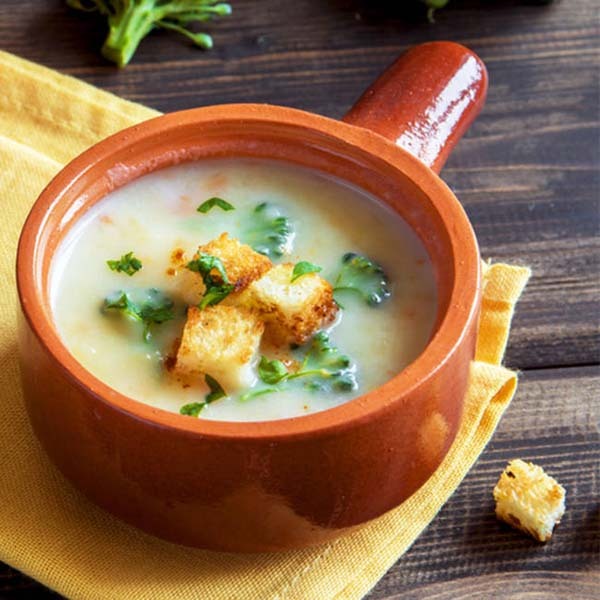 Here are some good ideas for a portion of soup – vegetable, chicken, or mushroom clear soup. The best soup is a homemade one. Do not forget this important advice. The other option for losing weight is eating eggs. A study published in the International Journal of Obesity compared weight loss after an egg breakfast to that after a bagel breakfast containing similar calories. The participants who ate two eggs for breakfast lost 65% more weight, and their waist circumference was decreased by a whopping 34% (10). 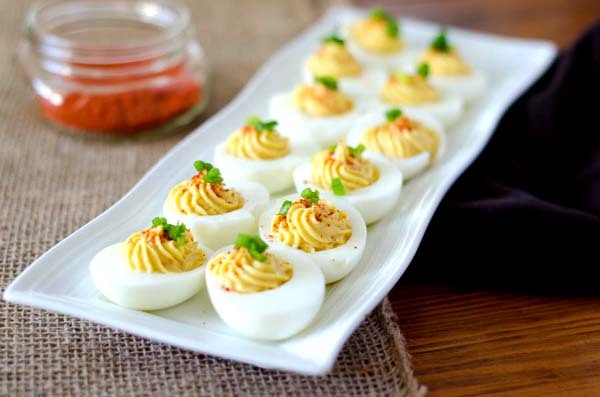 The basic reason is that eggs are a great source of protein and both water and fat-soluble vitamins that help keep the hunger pangs at bay and build lean muscle. 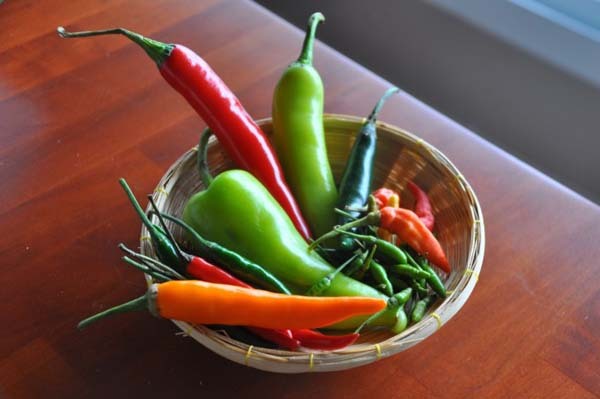 Chili peppers like cayenne, green chili, and red chili are rich in vitamin C and capsaicin that help fasten the metabolic rate and burn the fat away. Having these chili peppers in your daily diet can aid you lose weight and also reduce the flab in your belly region. Add cayenne pepper or red chili flakes to your salads, and green chili to fritters or omelet. Broccoli is one of the best belly fat reducing foods. Decreasing obesity leads to reducing the risk of cancer. The list of advantages consuming broccoli is long. There is a wide range of benefits. So, do not miss that healthy food. 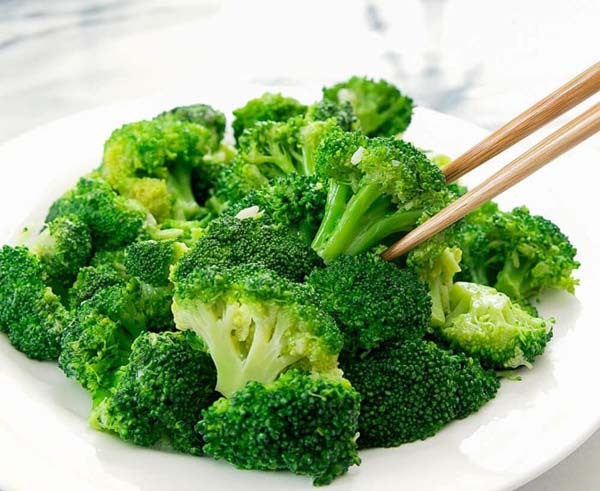 It is believed that consuming broccoli wards off the chances of falling prey to type 2 diabetes. The phytonutrients that present in broccoli help flush out the toxins, lower the level of inflammation, boost metabolic rate, and improve your body’s immunity. There are a lot of options how to eat them – blanched or grilled broccoli with salads and soups to help get a toned and flat belly in no time. 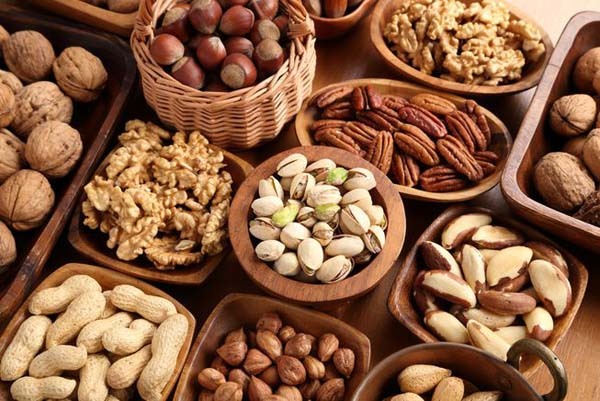 Nuts like walnuts, macadamia, pine nuts, and pistachios are good for weight loss. They are rich in useful fats and protein that boosts your satiety levels, improve the taste of food, and preserve you from snacking on other trans fats-loaded junk food. Farro or emmer is a dried and sold wheat product. It can be consumed after cooking in water and adding to soups and salads. It is loaded with dietary fiber, iron, B vitamins, zinc, protein, and magnesium. Just because it is a good source of protein and dietary fiber, it keeps you satiated for a long duration, helps build lean muscle. It also cleanses the colon. Consume farro for breakfast, lunch or dinner, and you will notice the difference in your hunger cycle immediately. 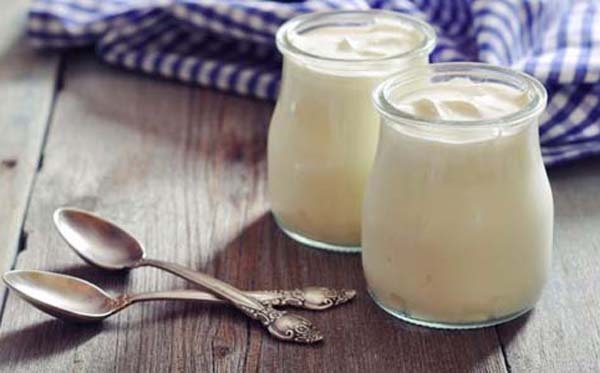 Yogurt contains good gut bacteria that helps digestion and take care of your gut health. In a research published in the British Journal of Nutrition, scientists found that women who consumed probiotics lost twice as much weight compared to those who didn’t. You can add yogurt in your diet by using it to make smoothies, salad dressing, etc. 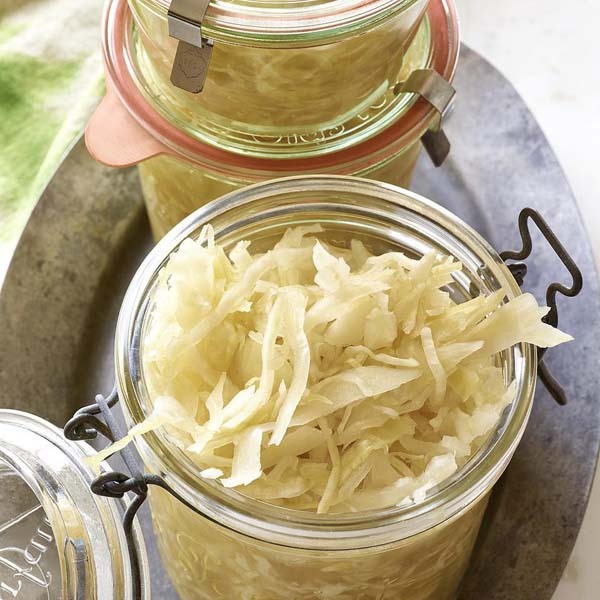 Sauerkraut is a fermented food. Kimchi (pickled veggies) is a good source of probiotics or good gut bacteria that help reduce bloating and improve digestion. So, to control your normal weight, have some lip-smacking kimchi or sauerkraut. And you thought losing weight wasn’t fun! 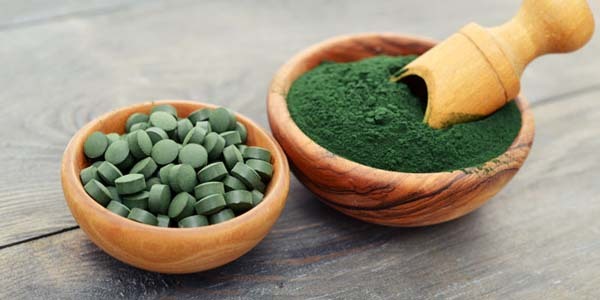 Spirulina contains low level of calories, protein-rich, anti-inflammatory, appetite-suppressing, blood lipid-lowering, and blood pressure-lowering. This single cell protein is the perfect belly fat reducing supplement that you may include in your diet after consulting your doctor. A good option is to add it to salads, smoothies, and juices.